Sorry for the lame formatting. Here’s some shots early into a build. 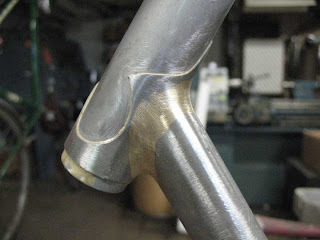 Combining lugs with fillet brazing is often called bi-laminate construction. At least it is in England. This has never been a common form of joint joinery in the U.S. so I’m not sure if we have a term for it. I like to call it “a little something for everyone!” Heck there’s even some tig welding in there. The points have been tig welded on and the weld bead was ground off. Thanks to Erik Noren for welding those on. 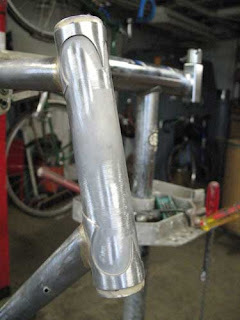 Tig was necessary because I brazed the lugs and laid the fillets at the same time. 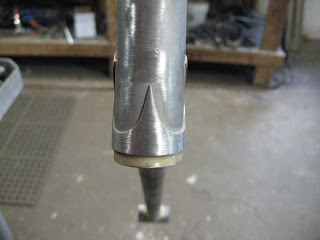 Since fillets typically need to be done with brass it made sense to use that for the lugs too. 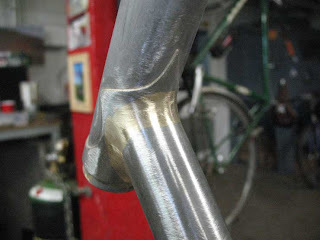 If I had brazed the points onto the lugs beforehand with brass that filler would have melted during the construction. 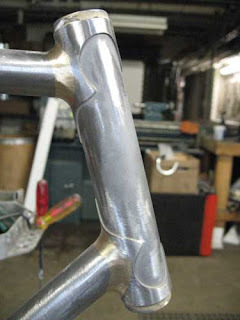 The melt would make the seam between the lug and the added point visible and ugly.